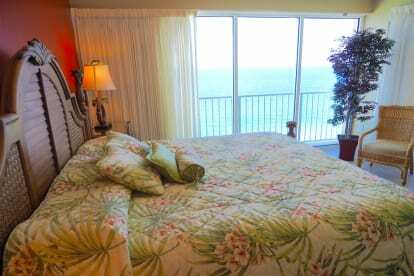 Your hosts are Danny and Kathy Miller who take great pride in their condo at Boardwalk Beach Resort. We live in Lawrenceville, GA and try to visit our 'second home' as much as we possibly can. Even before purchasing our condo, PCB has been like another home to us. We spent a lot of time shopping condo's, looking at the positives and negatives of each complex. The reason we chose Boardwalk Beach Resort was mainly due the location, on Thomas Drive that is within walking distance to nearby activities and restaurants. Not only is it less crowded but it is out of the traffic loop. Traffic on Front Beach Road can be awful especially near Pier Park, the condo's on the far West end were located very close to the water leaving very little beach. We picked our particular unit for a couple of reasons, we wanted to be on a floor so not only could we tell what was going on at the beach, pool, etc. but high enough for great ocean views and privacy so we could leave the curtains open day or night if we wished. 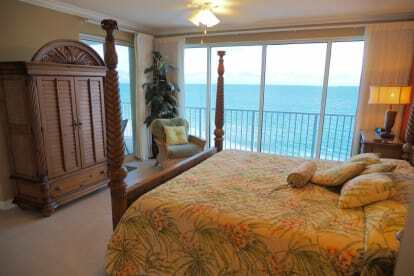 The second reason was our unit has the master bedroom opening up to the balcony overlooking the gulf. What can I say about that!! Several very good restaurants are within walking distance including Pineapple Willy's. There is no reason most evenings to even have to get in your car. We love getting up in the morning, go to the balcony and drink our coffee. We can watch the dolphins as well as anything else going on in the water or on the beach.